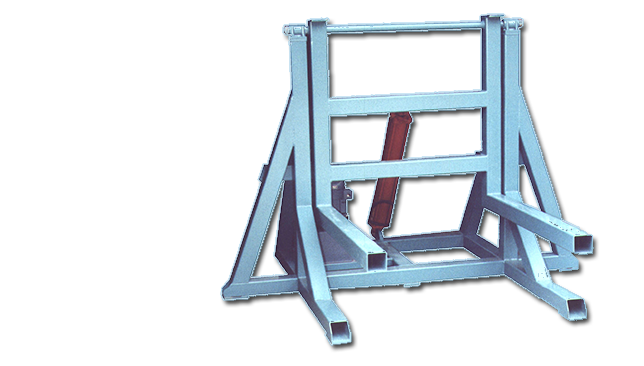 The Box Dumping Hoist is designed to dump single boxes of almost any style. The hoist is fabricated of structural steel tubing with a box cradle that pivots at the top. The cradle holds the box as it is pivoted to the final dumping position of 135 degrees. A hydraulic cylinder and a 3 HP hydraulic pump pivot the cradle. The operator controls the lifting action manually with foot switches or push buttons. Featuring Heavy Duty Structural Steel Construction, Quality Workmanship, and Superior components. Backed by a 1 year Manufacturers Warranty.